My Sketch Pad: Because it was my off day. It's been a while since I last had fun during my off day. One reason was because I used to have my offs after my night shifts, which I don't really consider offs. Another was because ten hour shifts a day was pretty much taking its toll on me now. So I usually just rest during my offs. Lastly, I was trying to avoid shopping malls because I really spent a lot during the first week of the month for clothes. In short, I already exceeded my monthly budget. So being tired, having limited budget and basically no time were the reasons I was just resting on my off days. But hey, I did not do that during my previous off. Well, I was away from work for two days so yeah. But I was using my public holiday leave on the first day when I just slept and almost got sick. So the second day was my off technically. And I spent it quite efficiently. Brown ankle boots, red shorts, skin color tank top, gray knitted loose top, and a black and white tote bag. 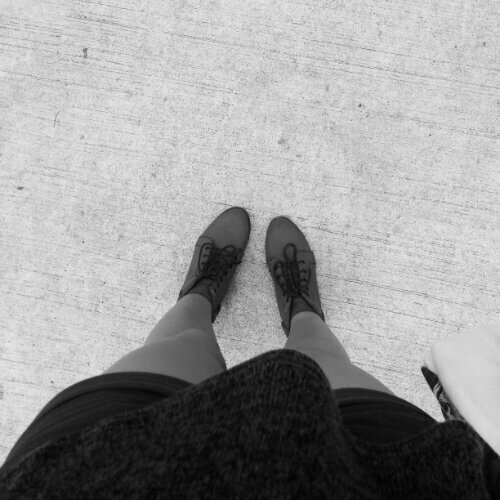 I couldn't get any more comfortable with these clothing on a day when the whether is pretty much unpredictable. First stop: Lucky Plaza for Filipino food. I have been craving for my home cuisines for a while now, especially something with pork. And so I walked all the way to Lucky plaza for a set of pork dishes and a cup of rice. Pork Sinigang (pork in tamarind soup) and Lechon Kawali (deep fried prok belly) were the ones that I ordered. I tried the store that my friend told me about - Lutong Pinoy in the basement level of Lucky Plaza. I was partly expecting something really good but it was just so-so. Had I ordered something else it might have been different perhaps. But then again, this friend who told me about the store was someone who loves all kinds of food. She always says that something is delicious even if others, myself included, don't agree with her. She knew about this and I always tel her about it. And there was no offense intended here. Second stop: Stranger's Reunion. Finally! I've been wanting to go to this cafe for the longest time. I froze my cafe hunting for some months due to the 'healthy' lifestyle that I have been trying. At least, I managed to put it on today's schedule. 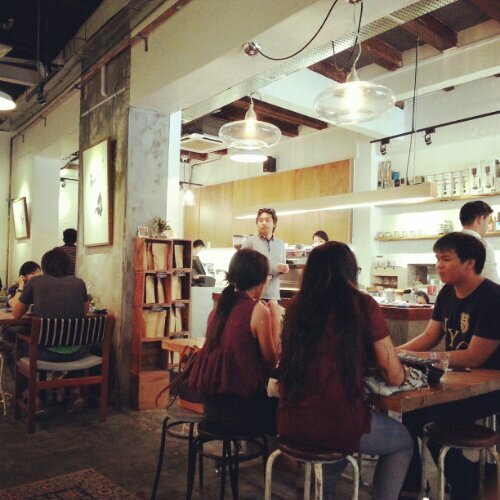 The cafe has this really nice ambiance besides that fact that it was very crowded. I like the food and coffee and their service. Actually, the service staff are all nice and friendly and accommodating. 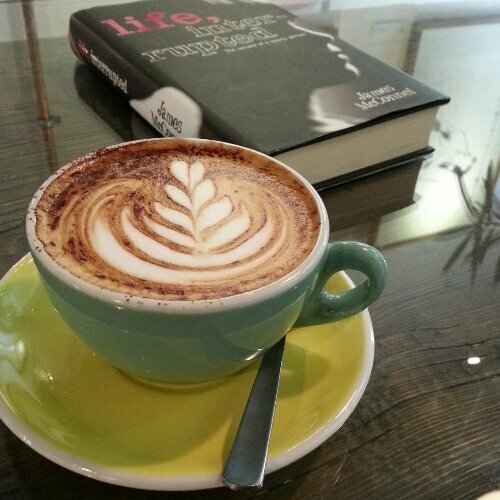 I stayed for about two hours, read two chapters of Life, Interrupted book, and finished two cups of cappuccino. There must be something with number two eh? 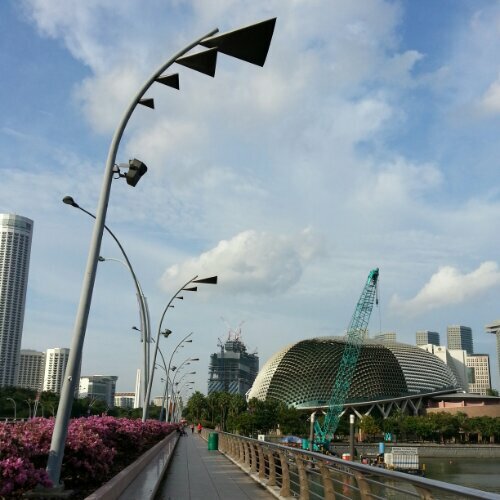 So after having my lunch and afternoon coffee, I went for a long walk from Kampong Bahru Road all the way to Temasek Boulevard. It's the same at Outram Park to Esplanade stations. Far? Well, the only places that were far for me here in Singapore were the seaside west - Tuas - and seaside east - Punggol. And maybe Woodlands as well. But if you're used to hours worth of road trips, then these so-called far places here were nothing for you. 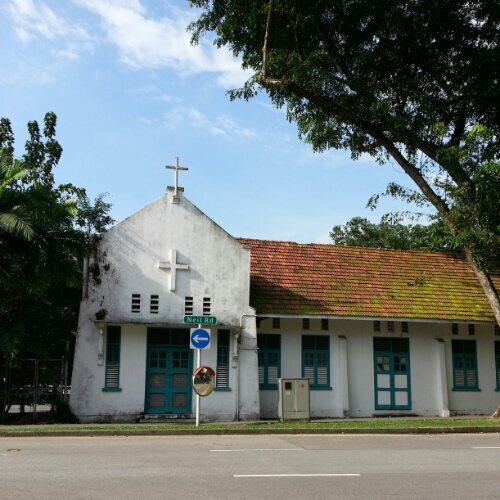 And I took a stroll along Neil Road, Cantonment and Tanjong Pagar and Robinsons Road. It was pretty fun to discover cafes that I have not even found online. Now, my list just got longer. I am not sure whether this Church was in operation or not but it looked pretty abandoned to me. Anyway, the contrast of old buildings against a clear blue sky just never failed to get my attention. The ever so picturesque buildings usually has that clear blue sky background. And yep, I just loved old, vintage, and rustic buildings. Definitely. 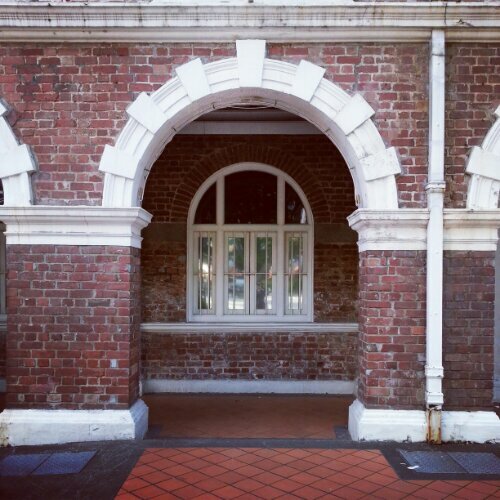 In this photo, I already reached the Collyer Quay Road or Fullerton Road. 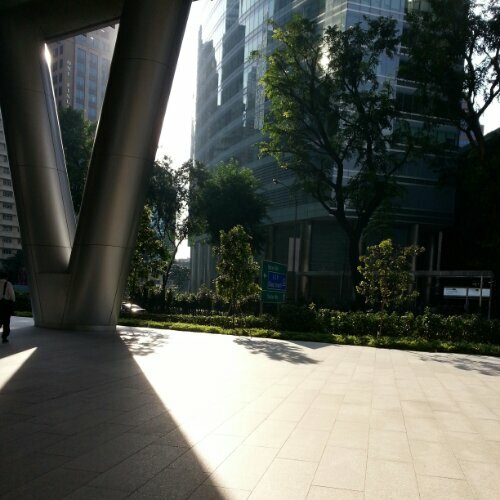 How the sun shine through skyscrapers to the ground was just astonishing to me. I love shadows as well that's probably why I like sunshine. 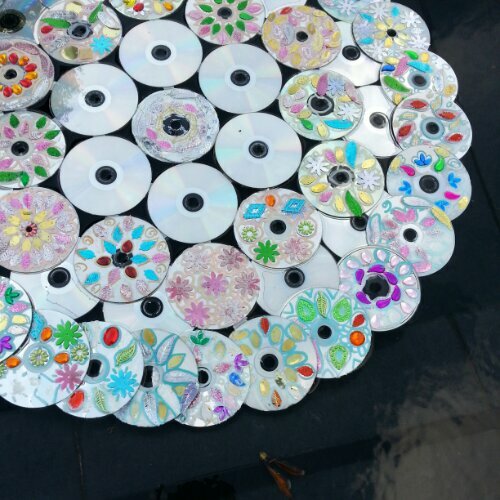 And as I was passing by Esplanade, there were decorated discs floating in the pond-slash-fountain. And being my artistic self, this creation just gave me a good idea of what to do with my non-functional discs back in Philippines. And I don't have pictures of what I did at Suntec but I can just simply state it: Window Shopping. Period. It's quite funny though that I walked the long distance from Kampong Bahru Road to Temasek Boulevard but I took a train from Esplanade to Bras Basah which was just a station apart. Oh well, my feet and legs were probably tired by then. 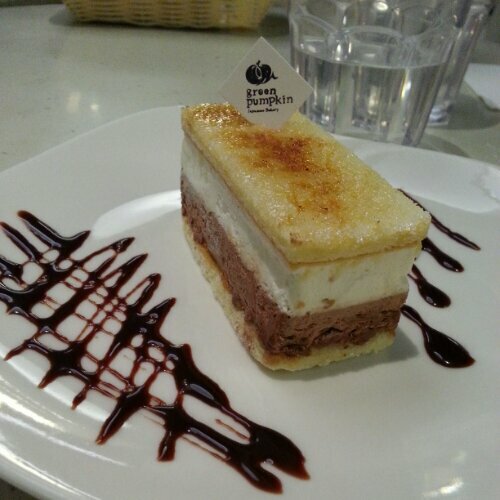 And minutes after arriving home, I got a call from my friend who invited me out to have dinner or dessert with them. And so I went. I met with them at Nex Mall at Serangoon, in the Japanese restaurant where our other friend was on shift at that time. And we ordered cakes for dessert. It was my cheat day anyway, but I really ate a lot even for a single cheat day. We hang around the place for a while and we eventually got free cakes to reduce 'wastage'. That was actually the best part. And by the way, the name of the restaurant was Green Pumpkin Cafe and the pastries were pretty good. Visit the place at the basement 1 of Nex Mall. And after our free dessert at Serangoon, we went to Little India and Haji Lane for a chill drinking and shisha session. 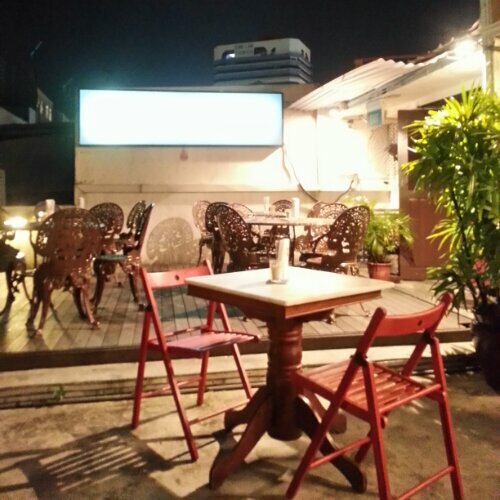 And one of the guys brought us to a hidden rooftop bar at Little India. The picture above was taken in that place. I didn't managed to get the name of the place but it was pretty good for a peaceful night out with your buddies. Then we walked all the way to Haji Lane for another round of booze and some cancer-causing activity. The place was pretty crowded even for a Wednesday night, when I always thought that every one would actually be partying at Clarke Quay. And the night just went on like that. We drink. We smoke. We talk. And we actually had a pretty good time talking about movies, a little of the past that I've never heard of, some issues, fun facts, and current events. I don't know why, but sometimes when you're having a good time with people, you talk about sensible things, sometimes weird topics. I still remember the time that I was having dessert with another girl friend of mine and we were talking about the end of the world. Yeah, it wasn't a your usual girl bonding topic over dessert but it just happened. My day wasn't exactly crazy and exhausting but it was fun. Half of the day was for myself, another half was bonding with friends. It was just a good balance. Most importantly, I had fun which was what I needed for a day off.